In february 2006, a report called „Vad hander med kusten? Erfarenheter fran kommunal och regional planering samt EU-projekt i Sveriges kustomraden“ was submitted to the European Commission. Sweden didn‘t develop a specific strategy for ICZM and choosed to use the existing documents. The Water Framework Directive will be therefore introduced in the existing documents. 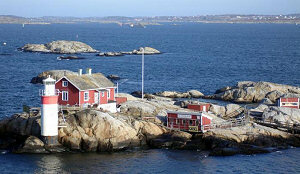 „The Planning and Building Act“ corresponds to a centralized way to govern the Swedish coastal areas. From an environmental point of view, this planning document gives satisfaction.